Millions of people depend on the San Francisco Municipal Transportation Agency (MUNI) to get around the Bay Area, and riding an iconic streetcar or cable car is on every tourist’s agenda. Unfortunately, many people are also injured by public transit vehicles. If you were injured — as a rider, a pedestrian or a driver of another vehicle — it is possible to sue MUNI and other governmental entities for the harm you have suffered. Because of the short statute of limitations and other special considerations, you should talk to a lawyer as soon as possible. The personal injury lawyers of Bracamontes & Vlasak, P.C., are familiar with the important factors in proving liability and obtaining fair compensation. Call us today to discuss your possible claims and how we can help. 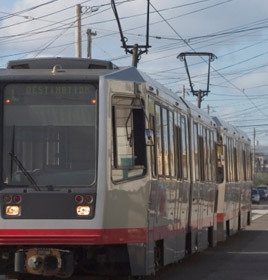 We will pursue your claims against MUNI and any of its affiliate entities, or counterparts in surrounding counties, including Bay Area Rapid Transit (BART), AC Transit, Caltrain, Golden Gate Transit, samTrans, the San Francisco Bay Ferry or Baylink. We also represent people injured in private taxi and shuttle accidents. Were you struck by a bus or streetcar while crossing the street? Were you injured as a public transit passenger? Did a train or trolley collide with your vehicle? Time is of the essence. If you fail to file a claim against the transit agency within six months, you will forfeit your rights to compensation. We obtain police reports and accident reports. We talk to witnesses and request that surveillance videos be preserved. We check into the transit driver’s training and background. In most cases, our thorough efforts will secure a good settlement but we are prepared to go to court if necessary to ensure our clients are rightfully compensated. An attorney who is not familiar with these cases might push too hard or settle for too little. Our experienced San Francisco MUNI accident attorneys can explain your rights and our approach in a free consultation. Call 415.835.6777 or contact us online.